Please help Joanna go to West Africa to fight Ebola. 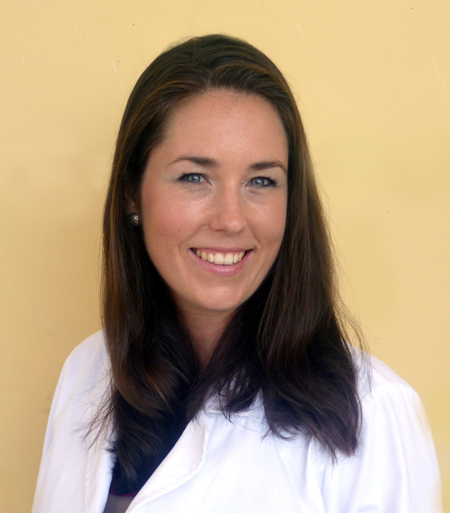 Dr. Joanna Souers graduated from the Latin America School of Medicine (ELAM) last August. You can see her here on graduation day, in her white doctor’s coat and her diploma. Now she wants to go to Liberia, to work there and help the fight against Ebola, and provide medical care for the other diseases and accidents that affect people there. She already has experience healing in difficult places and under difficult conditions. She was one of a group of ELAM students and grads that IFCO sent to Haiti after the devastating earthquake there. As you know, many countries in West Africa, particularly Liberia, Sierra Leone, and Guinea have been experiencing Ebola outbreaks of enormous proportions in 2014. Although it’s out of the news, this epidemic has not yet diminished and requires a level of human and material resources to aid in its control and hopefully even its eradication. And — in addition to the struggle against Ebola, ‘normal’ medical needs must be paid attention to: babies are being born, accidents happen, people get sick. Joanna has made a commitment to work with the Cooper Adventist Hospital in Liberia from February to April 2015 to help support and provide services to the many in need of care during this Ebola crisis. Please help IFCO to support Dr. Souers. She needs help to cover the cost of travel, living expenses, vaccinations required for her trip, medical supplies and protective devices needed by the hospital to treat patients. Be a part of Joanna’s team. Support her as she is willing to put her life on the line for the health and well-being of others. Make your contribution now. Share in her dedication and concern for healing the world. Sign up to get regular reports from Joanna as she lives and works in West Africa. ← Come Celebrate the Release of Cuban Five!